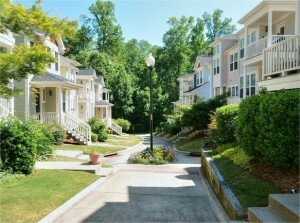 4 Triangle New Construction Communities We’re Loving! Modern convenience meets countryside opulence in these stunning new construction communities of Apex and Cary, NC. If you’re looking for elegant new homes offering only the latest in modern luxury features—open floor plans, vaulted ceilings, gourmet kitchens, expansive master suites, bonus rooms, wooded backyards— then it’s time to start exploring new construction neighborhoods of the Triangle. It’s the largest and one of the most unique new construction projects in the Triangle area! Its planned 347 single-family homes and 63 townhomes are the craftsmanship of premiere local builders, but the 165-acre Sweetwater of Apex is much more than just a residential neighborhood. It will feature 100,000 square feet of commercial office space and 350,000 square feet of retail space for a true village feel. Located off Hwy 64 and 540, the community’s ideal location will place it the perfect distance from shopping, dining, and employment opportunities. 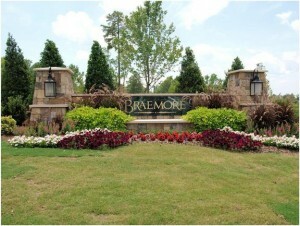 Elegant and spacious single-family homes line the quiet and scenic streets of Braemore in West Cary, NC. Peace, quiet, and lush greenery surround, though it’s just minutes off Hwy 540 for access to all the best opportunities and attractions of the Triangle area. Six unique floor plans are available to provide homeowners with only the best and most luxurious modern features—and there are still time for customizations and upgrades to truly craft the home of your dreams! Minutes from downtown Apex, Beaver Creek and Crossing shopping centers, and major highways, yet beautifully removed! Nestled into lush woods for a natural tranquility, Scotts Mill of Apex offers something for everyone—country lovers, suburbanites, and everyone in between! In addition to beautiful new-construction homes, it offers additional community amenities, such as a recreation center, a neighborhood pool, and planned social events and celebrations designed to bring neighbors together. Just far enough off the beaten path for an atmosphere of luxurious tranquility, yet minutes from Hwy 540 for easy access to all the amenities and opportunities of the Triangle communities, Bella Casa of West Cary offers a scenic yet convenient locale. 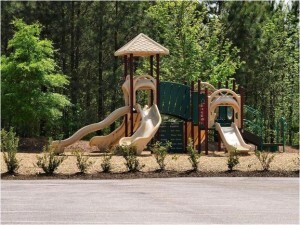 In addition to breathtaking single-family homes, it boasts a wealth of neighborhood amenities, such as a community clubhouse, pool, and splashpad, and it’s within walking distance of the 160-acre Apex Nature Park and Seymore Athletic Fields. 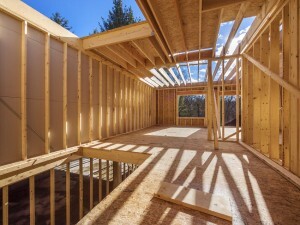 Ready to Find Your New Construction Home in the Triangle? Whether you’re ready to start exploring these communities, or you’d like to learn more about life in Cary or Apex, NC, it’s time to give me a call! I can help you search homes for sale or learn more about buying a home in the Triangle. Contact me today and let’s get started.